Time. To sit down and hush. Calm your spirit. Simmer your soul. Turn your mind off and your heart on. Time to REST. Does this sound familiar at all? Working diligently, doing all the “right” things to show the love of God when it’s possible you don’t feel it yourself? Have you ever been so busy doing things for God that you forfeit time with Him? Do you always feel like you should be on standby in case he needs you for something, so rather than dining with Him, you stand and wait for your next assignment? Immediately following this encounter, the men get up and the Lord has Abraham take a walk with him as they sit and converse about what's going on in a nearby city. Abraham ceases his striving, serving and working as unto the Lord to just sit and talk to God. He walks away from all of his accomplishments and stops trying to achieve anything other than time spent with the Father. In this dialogue (Genesis 18: 20-33), Abraham pleads for the righteous people living amongst the unrighteous. He converses with the Lord and asks Him, "What if there are fifty righteous people in the city? Will you really sweep it away and not spare the place for the sake of the fifty righteous people in it? Far be it from you to do such a thing- to kill the righteous with the wicked, eating the righteous and the wicked alike. Far be it from you! Will not the judge of all the earth do right?" Those are some bold questions to ask God. The more these two speak, the more they get to know each other and the more they begin to trust each other. Abraham needed to know a little more about the character and nature of God in order to lead others into His presence and God needed to know that Abraham's heart was in the right place. I don't know if this is what you think of when you hear the word "rest," but true rest is time spent with God. True rest, asks God questions and quietly waits for Him to answer. 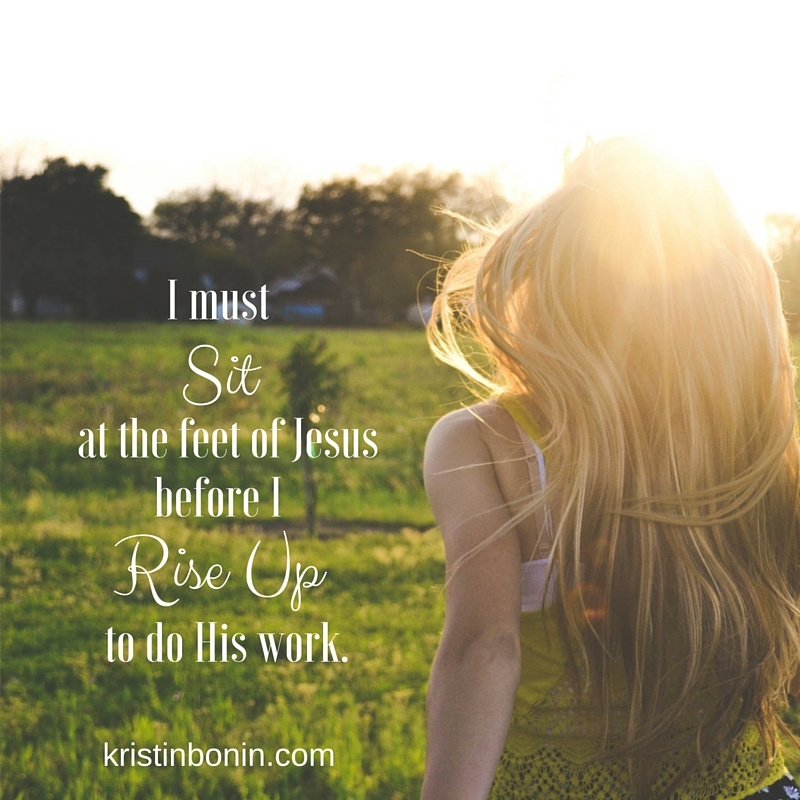 True rest is positioned at the feet of Jesus in an effort to know and experience Him more. If we can get to know Him in deeper and more intimate ways, then we can lead others to know him in deeper, more intimate ways…but what we can’t do is give what we don’t have. If you want to lead people to great places in life, you must first find great places in life to rest.